The first time we visited Center Parcs Joe was 12 weeks old and Jack was 5. And we have been every year bar one since then. It’s a holiday that has grown with us. I thought a round-up of some of our favourite Center Parcs family friendly activities for teens and tweens would be useful, tried and tested activities we have loved, that have worked for our family. Ariel Tree Trekking offers climbing for all abilities and ages. 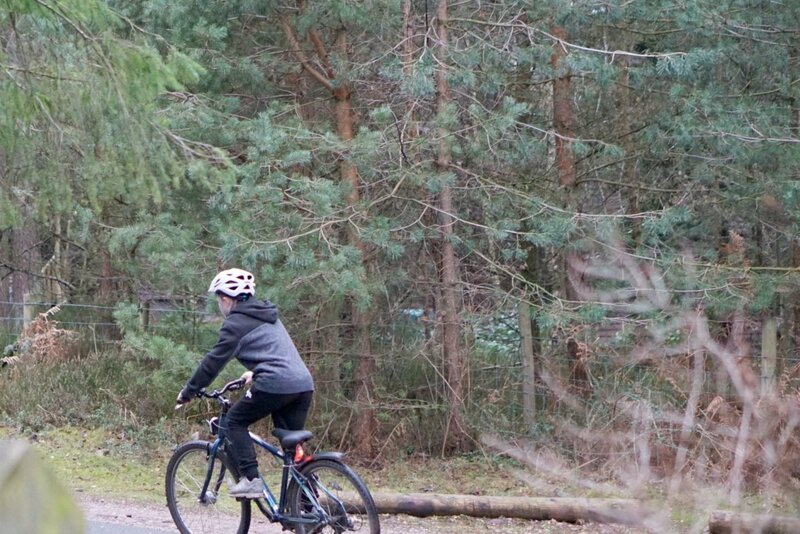 There you go 10 activities for teens and tweens at Center Parcs to suit all abilities and budgets. I myself and planning to try out the new Aerial Adventure course on my next visit and may even hire a bike again. Although there are so many familiarities that we love. Every trip is also so very different, simply due to the vast array of activities on offer. And after 12 years and 17 trips we still haven’t done them all. The problem with choice is the ultimate decision-making process. And trying to get a teen and tween to make a decision is painful! Segway is not as easy as it looks and takes a certain amount of bravery and balance. This was the first year we tried this out. Our instructor Philip was sensitive to our individual needs. Supporting me to give me a little more confidence and bravery (I was terrified at first) yet subduing an over-confident Joe without taking the fun out of it for him. The activity lasted for 45 minutes and after a few test laps on a track we braved the village. 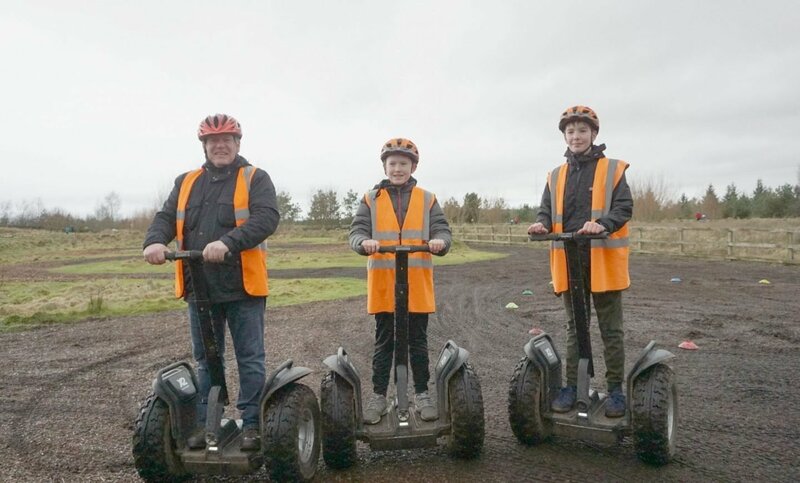 The Segway Experience is a fun activity and a great one for all the family. Joe is no stranger to climbing walls he is fearless, the indoor climbing wall is a great rainy day activity. Or indeed the perfect way to wear kids of all ages and abilities out! The walls offer differing levels of challenge and a complete visual experience. This was a tad more sedate than we imagined, however the boys adored slicing through the water James Bond style with their aqua jets and racing each other. I think it’s the uniqueness of this that made it such a fun activity, and it is great value. Take goggles with you to get the best out of the experience. 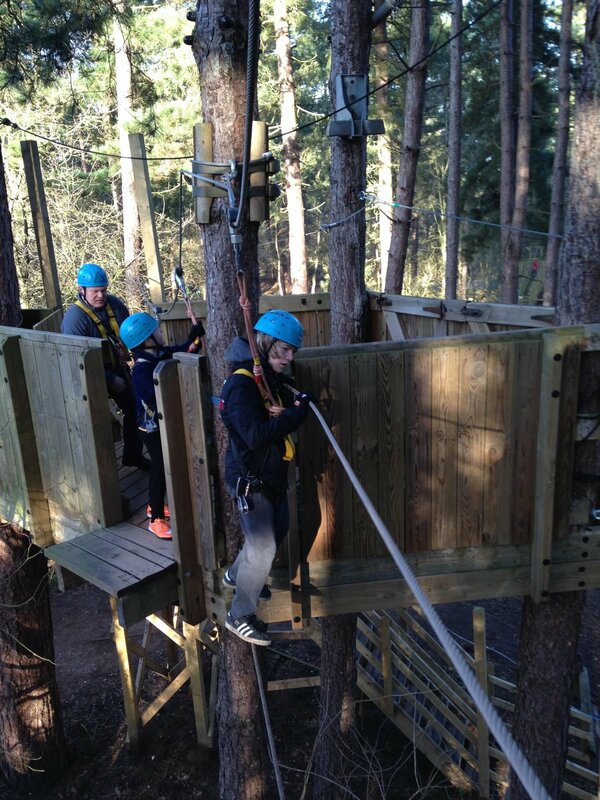 One of my favourite activities and I love the fact that Center Parcs have just updated the Ariel Tree Trekking at Whinfell Forest making it more exciting and a little more challenging. It generally takes around 40 mins to an hour to get around the course. Which is challenging but exciting at the same time. Our boys have been doing this ever since they were tall enough, being natural climbers they whizz through the circuit. However I have seen grown men reduced to wrecks on this. It is the best of fun if you don’t mind heights and a physical challenge. A wonderful activity for families with young children as there is a small course whilst the older kids and adults navigate the larger climbing route. Tree Trekking plus a zip wire, I would choose this every time for the exhilaration of completing your challenge with a zip wire forest descent. If you take part at Sherwood Forest there are 2 wires, 1 being over a lake. Let me tell you that took some stepping off the first time we did it. What a feeling when you have completed it. 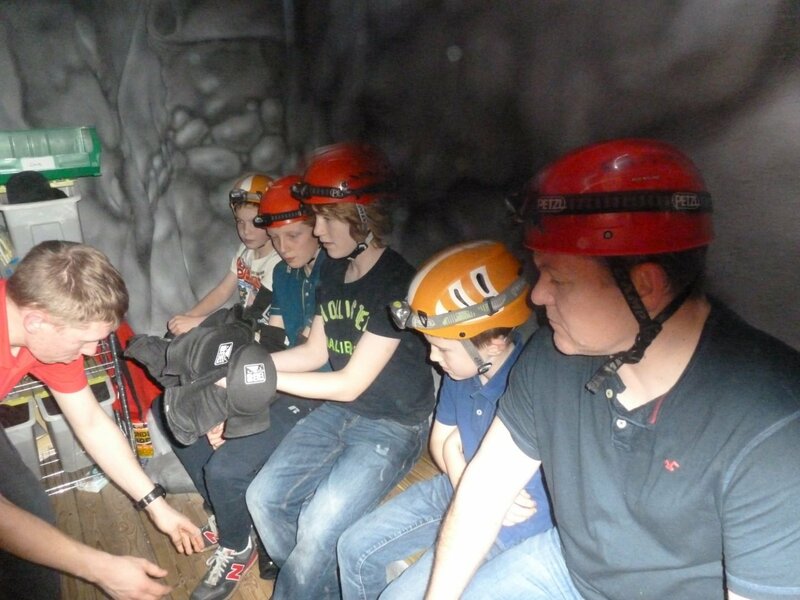 The first time we took part in indoor caving I really wasn’t that bothered. Come on, how hard can it be? But this activity a real challenge due to the sheer lack of space. It really does simulate the experience of caving very well, without the wet, cold and dark. Which for me that is a huge bonus as I am not sure I would be up for it in a real cave, making it a great family adventure. You feel challenged whilst feeling safe, and the boys loved it. This is the highest of all the activities and takes some real physical strength and determination. Jack was 14 when he took part in this and loved it. My heart was in my mouth as I stood on the ground watching my baby take a leap of faith god only knows how high up. It’s a fun but challenging activity. An affordable family activity, which is a wonderful pre dinner event, followed perfectly with a glass of wine whilst the kids burn off a little steam in the arcade. 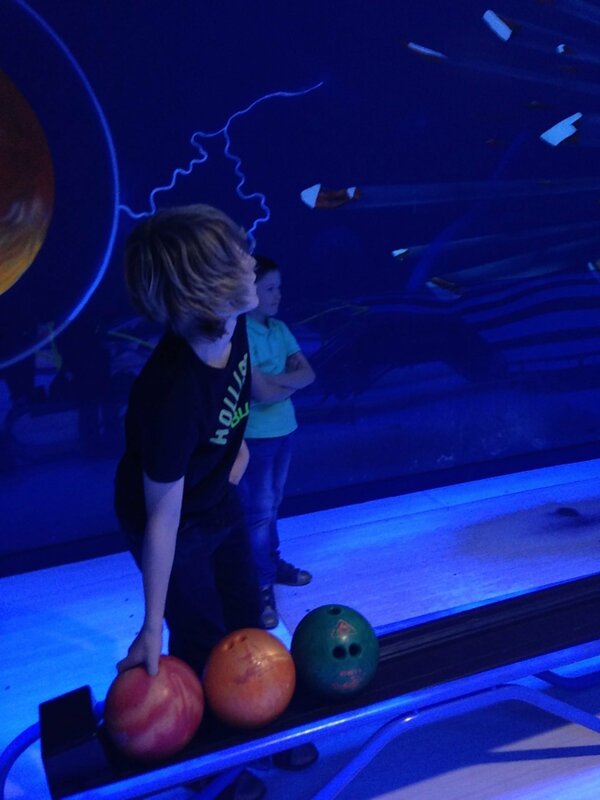 This is the one activity the boys ask us to book almost every time we visit. Perfect for competitive families, and a great way to burn off a little steam for crazy tweens. We try to have a game every time we visit but it does get a little competitive. Great for rainy days as there is generally not too long of a wait if you book last-minute. This is something we have always done for the boys but not often for us. Although I do remember the days when Joe used to ride in a pod, weeps! I tend to keep my bike riding to a static spinning class at the gym. However I wish we had done this more, it was wonderful going out on family bike rides this year and sharing something that Joe loves doing. Ok I couldn’t keep up but was secretly very proud of my ability to get up the hills; clearly the spinning has paid off. The prices vary depending on which bike you hire but it is a great way to get around. And for teens and tweens it’s an activity in itself. The boys loved nothing better this year than going for long rides, its someone we struggle to do at home living on a small country lane, but has really made me realise we should get the bikes out more often. But one thing having older kids does give you is a little time to enjoy the spa and as the boys enjoyed a lads and dads afternoon us ladies indulged in a little spa time. Check out our little vlog from our last trip, and as you can see the boys also spent quite some time in the adventure playground. I hadn’t heard of indoor caving, but it sounds like a good thing to try before the real thing. It would be tough to realise you were terrified of confined spaces when you were inside a deep cave! I must admit that I’ve never considered Center Parcs before but you’ve opened my eyes to it. This looks amazing! We too have been to Centre Parcs with our family, always Whinfell. When the boys were young they used to ask if they could live there, haha. We haven’t done all the activities but football and swimming were their priority so they were happy. We are hoping to go again now we have Ralf the dog. I knew there was a lot to do at Center Paris but I didn’t know there was such variety! The indoor caving fascinates me. I love tree top adventures and Tot has become old enough in the past year to really enjoy this. I think we might be coming into zone for a Center Parc’s activity weekend! So many fun activities for both kids and adults that involve being outdoors and being active! What a fun way to spend a vacation with older kids. 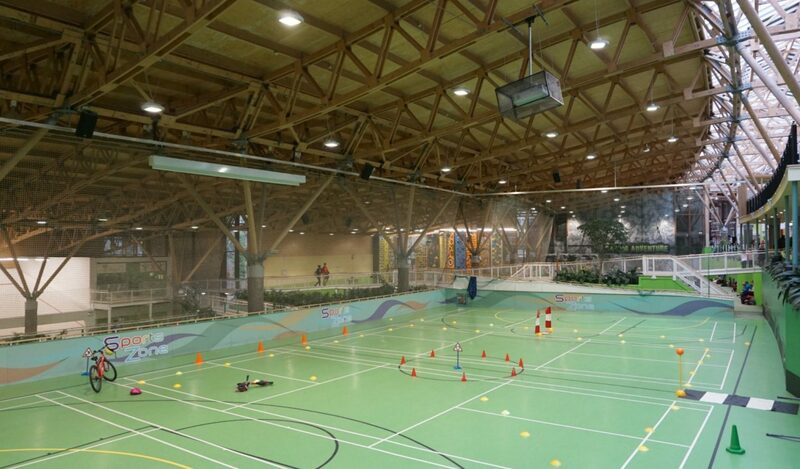 Center Parcs looks like so much fun! One of the things I adore about Center Parcs is that you can have fun on a budget and also have a blow out and take part of some of the more expensive past times too:) Great round up of things to do here Sarah. I know I would enjoy each and every one but that’s because I’m a big kid! I can see why you like Center Parcs so much. I too am intimidated by Segways but your experience that allowed a few laps on the test track would be so reassuring. I’m sure my kids would love the tree adventures or the indoor caving.